Universally loved. Chocolate is always popular, and these boxed chocolate globes will not only deliver happiness to the receiver, but also highlight your corporate identity in a fun and creative way. 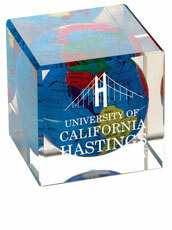 An excellent holiday gift item, the perfect corporate gift for your prized clients. 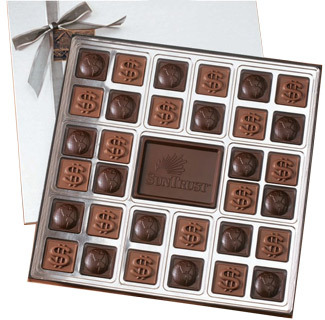 Features 64 square pieces (in two layers of 32) of kosher dairy Nestlé chocolate fashioned into chocolate globes or one of the optional 50 plus 3-D mold designs we offer. 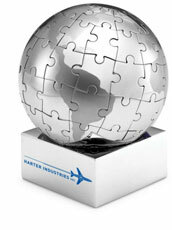 Select any two designs corresponding to your industry. 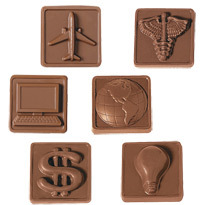 Customize the center chocolate piece with your company or organizations logo. Chocolate globes are packaged in a gold or silver window gift box with deluxe ribbon, revealing the custom center square. Choose between milk and dark chocolates. Fee: $35.00 if order is less than 25 pieces.